Hi there, my darlings! We're still talking about skincare today and I would like to show you one more product that I have fallen in love with! Now, Argan Oil seems to be the latest "it" ingredient, with every other brand promoting a product or ten with Argan Oil in it. But the question is? Does it work? Well...yeah, it does! And today, I'd like to show you how I use InstaNatural's 100% Pure Organic Argan Oil! GET RADIANT GLOWING COMPLEXION & HAIR: This Argan Oil is Perfect for All Skin Conditions; Especially Dry Skin, Split Ends, Frizzy Hair and More. Your skin and hair will be instantly nourished and revitalized! USES AND IMPRESSIONS : This is a jack-of-all-trades product--you can use it on your face, body, or hair. Personally, I've used with when I felt like I needed a little extra pampering, extra hydration--mixed with my shea butter hand cream after a particularly long night of swatching, a couple of spritzes before my regular body lotion, a little dab on the wind-ravaged ends of my hair. Again, you need just a little bit--argan oil absorbs really quickly, leaving you hydrated without feeling greasy or sticky. So there you have it, my darlings! 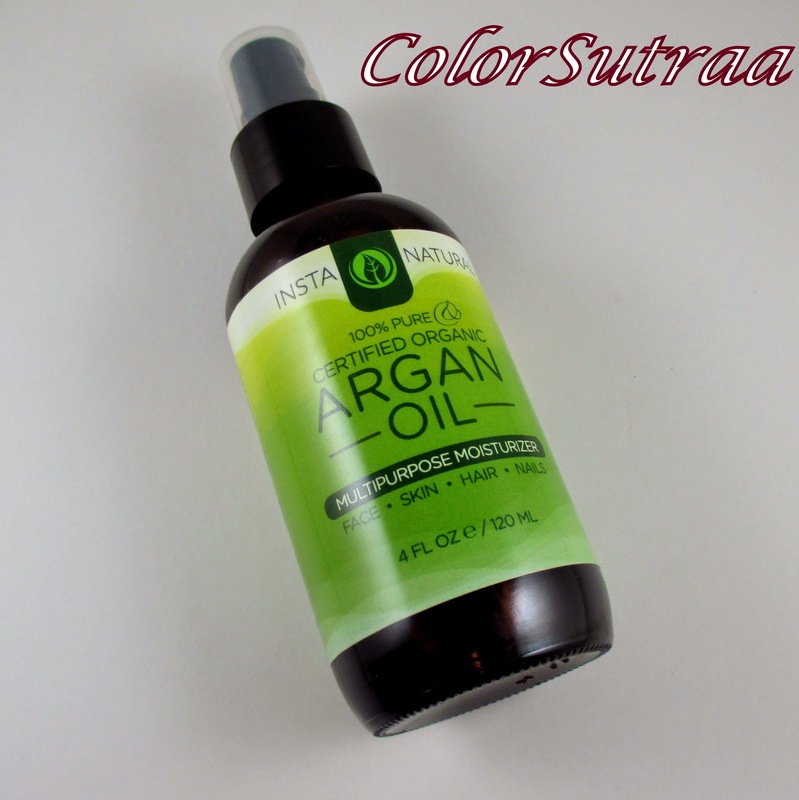 If you would like to pick up InstaNatural's 100% Pure Argan Oil, you can find it on Amazon HERE for the price of $17.97 for a full-size, 4 fl oz spray bottle. What hair or skin challenges do you face in the winter? Do you have a favorite product(s) to keep hydrated in the cold weather? I'd love to hear about them in the comments section below!